What track do you plan to ride? If you are used to the hawk the sv650 makes a great track bike. V twin power and gt nimble. 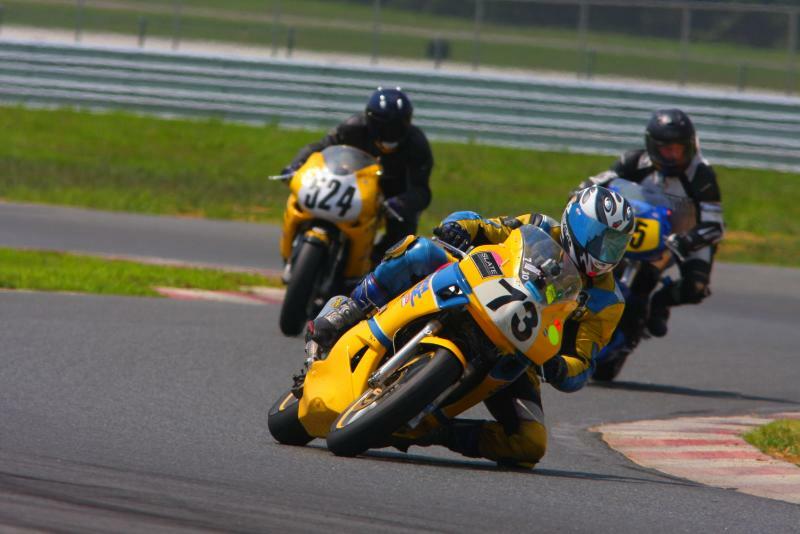 I instruct on one at the penguin racing schools ducati track days at thunderbolt in NJ. More than quick enough to lead the 1098's around with one hand on the bars looking back to make surt they kept up. Doesnt eat tires either. The R1 is a whole different power delivery. You will also not be able to exploit it until years of racing & probably not then either. Not to mention the truckload of tires you will go through each wknd. SV or 03-04 636 or 99-02 R6 are your best bets. The SV absolutely needs suspension work before you could track it though. Fork springs and a 636 shock are extremely cheap at about $150. The 636 shock bolts in and is fully adjustable. The RC probably isn't a good idea. A lowside could result in major funds to repair because of the dual exhaust and the side mounted rads, both of which are damned expensive to replace. Not to mention a stock RC is pretty hefty to work around a track, and that's not really the best way to learn. Light and nimble will learn you better and faster and is much cheaper on tires! That seriously plays a factor if you want to to more than three trackdays a year. Good luck! thats too funny ill be running at thunderbolt as its like 30 mins from my house...Im actually looking at the sv650 for my girl who just finished her first year riding (street riding not track) on her little 250...guess ill have to do some more pondering/research... i really only wanted the r1 b/c ive ridden a few and liked them felt solid and i just over all enjoyed riding them... as for the rc ive allways wanted one so i figured since i could afford one and theyre all selling right now id kill 2 birds with one stone...id rather the vtwin power plant but im sure i could quickly adjust to the i4 if it will be a better track bike...how would the f4i compare to the sv650? The majority of folks running on the track run the big 4 asia brands. your best bet would be to stick with something in that family just because parts and upgrade pieces are going to be easier to find. I love running my hawk on the track, but when something breaks at the track, you can't start swapping with others there to fix things. The SV and an I4 are about the same handling wise, they're both light and very flickable. The big difference between them is the power. I4's can do 160mph while the SV tops out at around 125 depending on how you gear it. Thats really not a bad thing though if you're going to the track to learn how to ride better. It's really easy to get over your head when you have ample amounts of power. Another thing worth mentioning is the I4's are a little tricky with they're power delivery. 600's are torqueless turds below about 8k but come on fierce after that, so that makes them harder to ride. The SV is just easy as pie to ride fast. When I took race school in '97 I did it on an F2. All the instructors at Bridgehampton were on EX500s. I was a really fast street rider. After a day of those guys passing me around the outside with one hand on the bar I knew I wanted to be the the jedi with a light saber rather than a squid on a repli-racer that I couldn't even almost exploit. You want to play ball like Jordan & are thinking wearing his shoes will do it. Focus on the game. You will learn way more on a twin and be a hero for doing it. Alot of squids ride i4's but if you watch those races its a real lesson in dangerous riding. All different lines, bonzai passing, etc. BTW, at EX500 would also make a great bike for your gf. Way lower seat and more comfortable than the sv but similar sportiness. some idea of experience level to date (street and track) would be helpful in thinking through this. 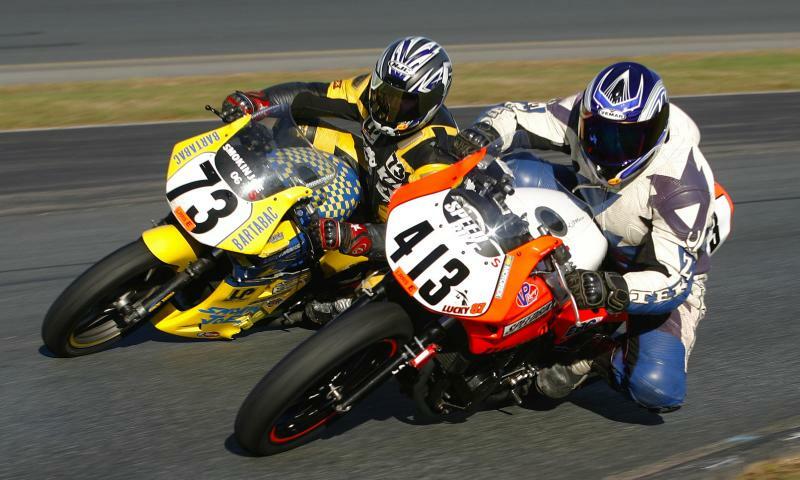 I have ridden alongside a lot of amateur racers at track days and as you probably know, so little of it is the bike. Personally I have the most fun on a little rvf400. So unless you are very experienced on track (not knowing, don't take offense), I would say go small and work on the basics and handling. You will be much less intimidated and have much more fun feeling you can approach limits without as much fear, and real risk like highsiding etc. SV650, Ninja 250, GS500 etc are all great bikes. this is why i posted and asked before i bought one... no matter what the question some one on here knows the answer!!! i really appreciate the help!! i also found an 01 sv i can grab for under 1000 its in kind of rough shape cosmetically, but that leaves me with 2-3000 of my track bike budget for repairs body work, good new brakes, tires and suspension set up... it runs and shifts fine so it should suit my purposes perfectly... you said the gsxr race plastics would fit which year? im assuming the same years but i need to ask to be sure...also how do i get into your class next season?? i want to play with the light saber too ... as for the ex 500 thats another good idea i never even looked at those for her!! ill have to have her ride one and see if she likes it she did really well learning her first year so i told her id get anything under 600cc but id make an exception for an sv because i like them...she put like 4000 miles on her 250 without a single drop accident or problem at all for that matter i was stoked!! now she cant be all weighing me down as a passenger plus it gives us something we really enjoy together...(no blue tooth so we both enjoy it and i get peace and quiet the ultimate win win)...thanks for the help guys!!!!! please feel free to keep it coming! noob why the 03-04 sv is there something thats alot better than an 01?? sounds great. also, as you grow, there are endless hop-ups and upgrades for SV650 models including even more info on fork swaps with GSXR models than we have on this site for the SH. i was asking about the class you instruct not your racing class... i know im not good enough to race with you...just for clarification...unless youre saying you only instruct experts? I am routinely humiliated and amazed at how fast an sv650 is on a technical track in the right hands. anyways, my vote goes to an SV650 if you're really used to riding a twin. if you really really really wanna hit a rather steep learning curve get an i4 600. not saying its a bad thing, its actually quite a challenge figuring out how to effectively (keyword) ride a 600 i4...someone said it early, weak as hell until you wind them out, then they come on FIERCE. he wasnt kidding. my background is learned how to ride a bike on a superhawk (not the smartest thing), moved up to an rc51 and began track riding nearly exclusively. rc51s are flippin HARD to ride, but the only thing that isnt intimidating/difficult to ride about it is that its really stable and the suspension is really good compared to a shawk. throttle and power is twitchy from the get go, it's ridiculously heavy, it takes some SERIOUS input to get the steering to work, even after steepening the geometry. but you learn alot from it. extremely rigid chassis that makes you understand how suspension and tires work. errors are very amplified, not much of a handicap available. you do get rewarded with some serious instant power getting laid down though. definitely change the gearing, it's geared way too tall to begin with. -1/+3 was awesome but you run out of room fast and makes modulating power very tricky. switching to a simply -1 made me go into too many corners too hot, which was a good thing, you learn that the limit is realllllly hard to reach on an rc51 haha. definitely get some rearsets, the stock rc51 pegs drag easily for some unknown and inexplicable reason. and let me make this crystal clear PARTS ARE BLOODY EXPENSIVE AND HARD TO FIND. make sure you get a spares package WITH the bike since the supply of replacements will likely dry out soon. now, my NEW track bike is an 07 600rr, just got it a few weeks ago! rode it at pahrump back in september then when my buddy went overseas he asked me to buy it off him. amazing bike, really easy to ride, it basically makes you faster instantly. your mistakes are masked easily, the bike just shakes it off and keeps going. theres decent midrange for a 600. extremely light and flickable. power comes on pretty brutal above 10k rpm. you need to ride it that high to get any sort of drive whatsoever. most important point: it takes MUCH practice to understand how the power comes on and how to use it effectively. i've only done like 2 days on it and i feel like a newb, although a reasonably quick newb, but still a newb. tire feels like its going to spin itself silly and light up when you're driving hard out of a corner. doesnt feel like theres a gap between firing pulses to let the tire grip. its frickin tiny, the wind will blow you around. gotta get on the gas really early and probably a gear lower than usual. i wanted a 600 to expand my learning anyways...i kinda hit a wall with the rc51 because its really hard to get over that glass ceiling. i still miss riding it when im on the 600 though, but the 600 handles and brakes so much better its not even funny. 03 RC 51 Track Bike For Sale Cheap!! !